Macro in 2019: 2016 déjà vu? Following a late 2H15-1H16 macro soft patch i.e. taper tantrum, the global tech market underwent an inflationary bull market through 1H18. However, due to various macro and micro issues, there has been a slowdown in demand from 2H18, with higher chances of further downward pressure in 1H19. The US Fed raised the interest rate four times in 2018, which led to weakening emerging market currencies, interest rate hikes, and resulting in a slowdown in demand. The recent US-China trade friction also brought about abrupt supply chain disruption due to conservative management by companies. However, recent weakness from the micro data would be bad enough to change macro policy makers’ stance toward more stimulus policies and potentially signal a pause in US Fed rate hike. The current valuation multiple are lowering towards the levels seen during the global financial crisis in 2008. 5G will be introduced in 2019, six years after the implementation of 4G in 2013. 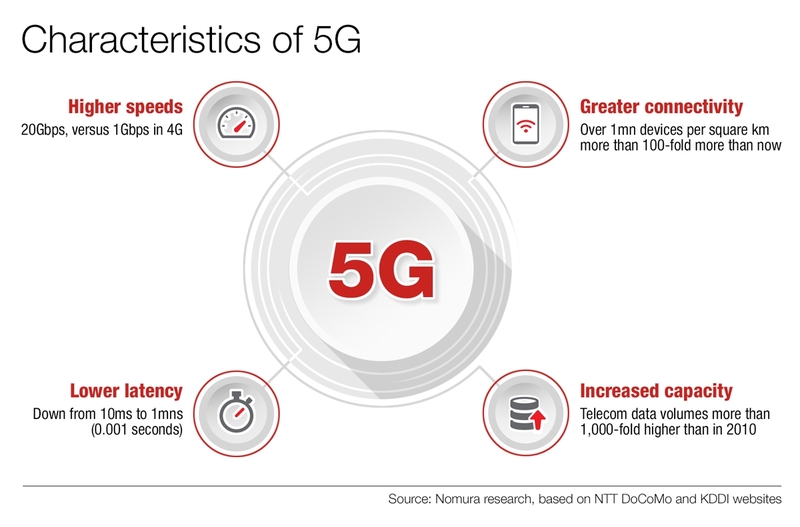 Similar to its predecessor, 5G’s commercialization will be established by Korean telecom companies, followed by the Chinese, and commercializing service in 4Q19. Both Chinese and Korean telcos are likely to reintroduce a subsidy for smartphones to increase 5G penetration. Korea, China, the US and Japan are expected to fully support 5G service by 2020. On December 5, 2018, Google unveiled a driverless taxi service, Waymo One, in Phoenix, Arizona. While Waymo still requires drivers behind the steering wheel, it is capable of Level 4 autonomous driving which comes close to full autonomous driving, which allows the vehicle to drive under limited conditions and will only operate when all required conditions are met. The core hardware items for autonomous driving are processors, memory and 5G network equipment for edge-computing, with Lidar and camera sensors as well. Due to recent weakness in the cryptocurrency market, the mining hardware market has collapsed, which has hit NVidia’s share price. In addition, AI companies have started to use efficient proprietary ASIC to develop AI, which is also posing a threat to the related hardware market (memory, CPU, GPU). Although development of efficient AI development tools may threaten certain hardware companies in the short term, it will expedite the arrival of the AI generation at a much lower cost. IoT is also a key part of 4IR, which involves the digitalization of analogue signals and inputs everyday items. While we were cautious on the IoT trend during its early stages 2-3 years ago (due to the lack of infrastructure and hardware), we now see increasingly feasibility of IoT uses, thanks to fast improvement in necessary hardware tech including upcoming 5G networks, and the use of AI to collate vast analogue signals (i.e., video, audio, pressure signals). With continuous collection/analysis of ever-abundant data, we expect the steep growth of IoT businesses to continue. Intel is also making meaningful progress in IoT business, commercializing the latter’s technology in areas such as industrial, smart city, retail and healthcare applications. IoT growth should accelerate and start to have a direct impact on jobs which could be replaced by IoT and AI. Intel Xeon Roadmap: Intel announced two new processors in its Xeon portfolio including the 48-core Cascade Lake advanced performance processor, which is a major upgrade on current Xeon chips. While it is designed for the most demanding high-performance computing, AI and IaaS workloads, it mainly enhances hardware security, mitigating against side-channels attacks through partitioning. We expect Intel and AMD’s new platform to induce demand rapidly from hyper-scale companies and bring positive changes to memory companies and the related component supply chain, due to: 1) the doubling of memory capacity compared to the current platform; 2) improvements in system performance by improving electricity efficiency by 30% and solving security issues. What else does 2019 have in store in the technology space? Find out sector and company outlooks here.